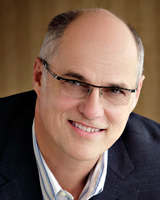 Dr Rudnicki’s laboratory works to understand the molecular mechanisms that regulate the determination, proliferation, and differentiation of stem cells during embryonic development and during tissue regeneration. The lab has conducted leading studies into both embryonic myogenesis and the function of muscle stem cells (satellite cells) in adult regenerative myogenesis. In particular, they have worked extensively to understand the molecular mechanisms that regulate the function of satellite cells in skeletal muscle. Towards this end, the lab employs molecular genetic and genomic approaches to determine the function and roles played by regulatory factors. They identified Pax7 as a transcription factor required for the specification of satellite cells, and identified Wnt7a signaling as playing an important role in muscle stem cell function.